The IRS will send you certified copies of your tax return -- for a fee. 2. Who Must File a Tax Return in Michigan? When you have to prove your income, there's often no substitute for a copy of your tax return, certified by the Internal Revenue Service. You can order a copy of your tax return for the most recent year or any of the six years before that, but you'll have to cough up some money for each copy. Form 4506 requires your name; your current address and your address when you filed the return; the years you need copies of; how many copies you want; and your signature. You can also specify where to mail the copy. For example, if you're applying for a loan, your lender might require the copy be sent directly to its offices. If you filed a joint return, either spouse can request a copy, even without the other's permission. You must mail in Form 4506 to request a copy of your tax return along with payment for each copy. The address depends on where you lived when you file the return and is found on page 2 of Form 4506. For example, if you lived in Alaska when you filed the return but have since moved to Alabama, use the Alaska address. When you're mailing in payment, the check or money order should be made out to the United States Treasury, and your Social Security Number and "Form 4506 request" should appear on your payment. Before you fork over the money for a certified copy of your tax return, check to see if a tax return transcript will suffice, because those are free. According to the IRS, a transcript may work in many circumstances, such as if you're applying for citizenship, a mortgage or a student loan. The IRS allows you to order a tax return transcript online, through the mail or by phone. No matter how you do it, you need to provide your Social Security Number, birthday and address. Ordering a transcript is not only cheaper than ordering a copy of your tax return, it's also faster. After ordering, you can expect to wait up to 60 days for the copy of your return to arrive. 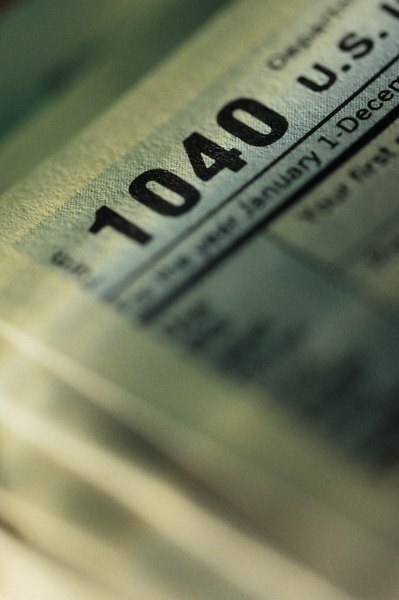 With a tax return transcript, you can expect it to arrive in just 5 to 10 business days. What if I Didn't Keep My Tax Receipts?